Manchester United’s Premier League Player Of The Month Fails To Deliver In Crunch Situation? Manchester United wonder kid, Marcus Rashford has been awarded the player of the month award for The Reds for the month of January. The award was presented to the twenty one year old striker by Game of Thrones star, John Bradley. It has arguably debated that Rashford has been a dragon in front of goal since the shackles were off for The Red Devils. It has been the first time since his debut in September 2016 that he received the player of the month award. Since his debut in an unexpected condition against FC Midjytland in Champions League, Rashford has scored 41 times in all competitions. The Englishman went off to a flying start scoring two on his Champions League debut, two on his premier league debut against Arsenal and scoring the only solitary goal in The Manchester Derby. 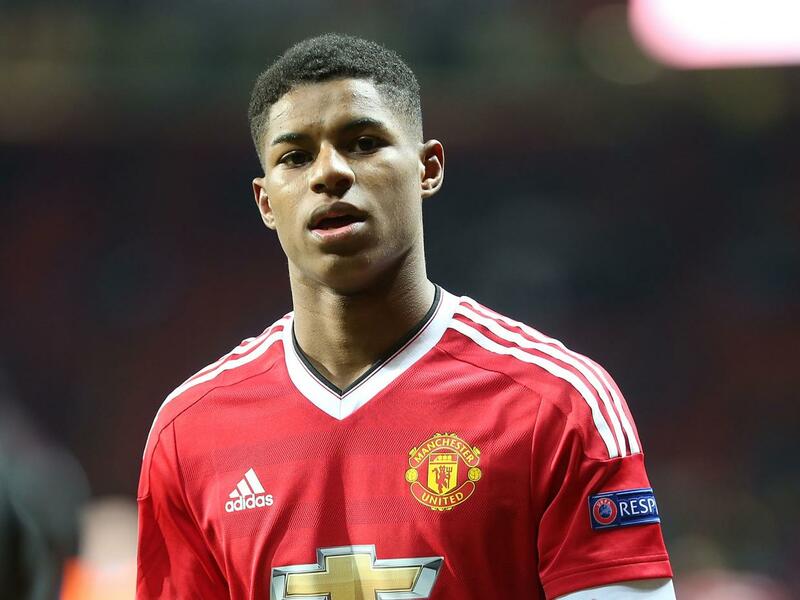 Rashford scored three goals in six appearances in the month of January. He was awarded the man of the match award twice, against Brighton and Hove Albion and Newcastle. It was one of the most closely fought Player of The Month award in recent seasons. Marcus came out on top to claim the first month of 2019 with 38 percent, narrowly ahead Paul Pogba. Victor Lindelof, who has been having a brilliant season so far, came third with 26 percent. John Bradley, who is a huge Manchester United supporter, flew down to Carrington Training ground on Thursday morning to pass over the award. Bradley is famous for playing Samwell Tarley in the Game of Thrones series. The pair posed for a snap with the United player of the month trophy, which will go some way to proving that Rashford is slowly proving his worth. Solksjaer is confident of his ace striker and believes the Englishman is absolutely top class and has got a great future if he continues to play the best football of his career. When Manchester United needed the England international to fire the most, against Ligue 1 champs Paris Saint-Germain, the attacker was nowhere to be found. It is a fact that the Red Devils were outclassed and though the England international did not get too many clear chances, he could have done much better with the ones that he did. Also, his running off the ball was the positive from the game, though he failed to make anything out of those runs and eventually looked very weak. If it hadn’t been for the injuries to Lingard and Martial possibly, the player might have been taken off earlier and Lukaku might have received more than just the mere 10 minutes that he got as a sub. Should the Belgian have come on earlier in the game? Possibly yes!! Previous articleNapoli Postpone Big Money Deal, Premier League Giants Would Be Delighted?